Joseph Paquet, while pursuing a Bachelor of Fine Arts at the School of Visual Arts in New York, had the good fortune of finding a mentor in John Foote who opened his eyes to the joys of drawing the human figure. 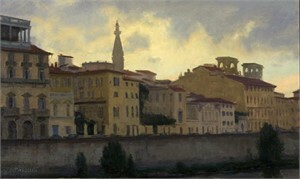 After graduating, Joe met another major influence in his life, John Osborne, who was uniquely gifted in producing convincing landscape paintings from memory. 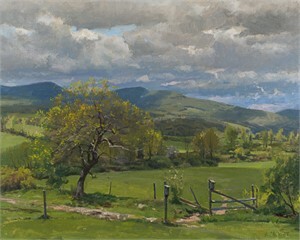 Osborne believed a landscape painting should begin on location, but that its poetic essence should be completed in the solitude of the artist's studio. Paquet experienced a demanding and rewarding apprenticeship, in which he learned to fuse field studies with the image he could see in his mind's eye. To summarize this experience, he explains, "The intellectual process became married to the intuitive. Paint what you know well as what you see." He goes on to expand the possibilities, "If I have the need or desire to move a mountain, add a figure or change the course of a river, I can do so. I am no longer shackled to nature. Now, I am painting my picture." Paquet teaches and paints at Hurinenko and Paquet Studio in St. Paul, Minnesota. He has been featured in an October 1995 article in the Washington Post Sunday Magazine, the May 2002 issue of The Artist Magazine, the March 2004 issue of American Artist and the July 2005 issue of Plein Air Magazine. 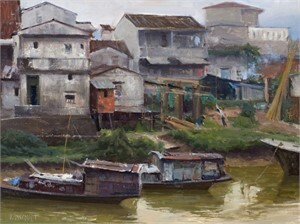 Paquet's recent awards include both Artists' Choice and Collectors' Choice from the 2007 Laguna Beach Plein Air Invitational as well as the 2008 Alden Bryan Memorial Prize from the Salmagundi Club of New York and the First Place in Landscape from the Richeson 75: Artist's Choice Competition. Paquet is a Signature Member of the Plein Air Painters of America, The Salmagundi Club and an Out-of-State Artist Member of the California Art Club.